Hey, get outdoors with your friends and enjoy star gazing! Let StarTracker guide you to explore the universe. Just hold up and point the device to the sky and have fun! You can see any stars, constellations and deep sky objects you are watching in real time. ★ All data is offline! ★ Fits all screen sizes from 3.5 inch to 12 inch for any resolution! ★ Sun, Moon, Planets in Solar System, 88 Constellations and 8000+ stars visible to the naked eyes. ★ 12 Zodiac Constellations Art & some famous deep sky objects with magnificent graphics. ★ Location auto set by GPS, or set manually. 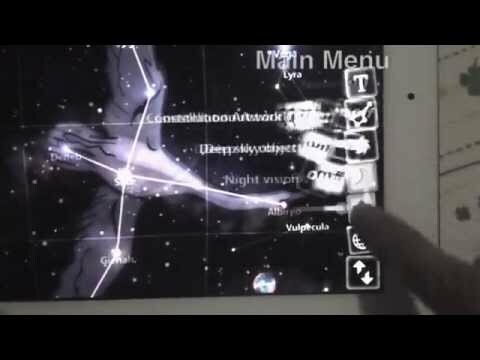 ★ Auto hide all menus and enter AR track mode when you point your device to the sky. ★ Smooth motion flow and quick response which is realized by cutting edge signal processing technique. ★ Superb high quality graphic display by enabling the retina display of the device and the full screen anti-aliasing technology employment. ★ No ads & full main menu. ★ Full 88 Constellations & 100+ deep sky objects with magnificent graphics. ★ Search and guide you to stars, constellations, planets and deep sky objects. ★ 3D compass in AR mode, indicates position of objects you searched. ★ Time Machine menu and location menu to let you explore more on time and location dimension. ★ Night mode switch, protecting eye when doing star gazing outdoor.